17- is beautiful age, happiest time in your life. 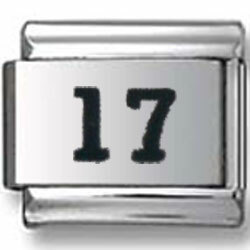 Save your memories with this beautiful 17 Italian Charm. This charm is made from premium stainless steel and perfectly matches any bracelet.